يحظى فندق Cascade Gardens Holiday Apartments بمكان متميز في محور كيرنز سياحة, شواطئ, مطاعم في منطقة كارينس سيتى سنتر الفاتنة. يسهل الوصول إلى هذا الفندق ذو 4 نجوم من المطار، فهو يبعد عنه مسافة 6 km فقط. يوفر الفندق بفضل موقعة الجيد وصولاً سهلاً إلى أهم معالم المدينة.
. يقدم Cascade Gardens Holiday Apartments خدمات لا غبار عليها وكل أشكال اللياقة وحسن الضيافة اللازمة لإسعاد ضيوفه. إن واي فاي مجاني في جميع الغرف, تسجيل وصول/خروج سريع, تخزين الأمتعة, واي فاي في المناطق العامة, صف السيارات هي جزء فقط من الخدمات التي تميز Cascade Gardens Holiday Apartments عن باقي الفنادق في المدينة. تعكس غرف الفندق البالغ عددها 44 المنتشرة في 3 طوابق جواً من الدفء والألفة.خدمات عصرية مثل تلفزيون بشاشة مسطحة, اتصال لاسلكي بالإنترنت, اتصال لاسلكي بشبكة الإنترنت (مجاني), غرف لغير المدخنين, مكيف هواء موجودة في بعض الغرف المختارة. يقدم الفندق مجموعة رائعة من الخدمات كمثل مسار جولف - ضمن 3 كم, حمام سباحة خارجي, سبا, حديقة, رياضات مائية (غير آلية)، لجعل إقامتك تجربة لا تنسى. 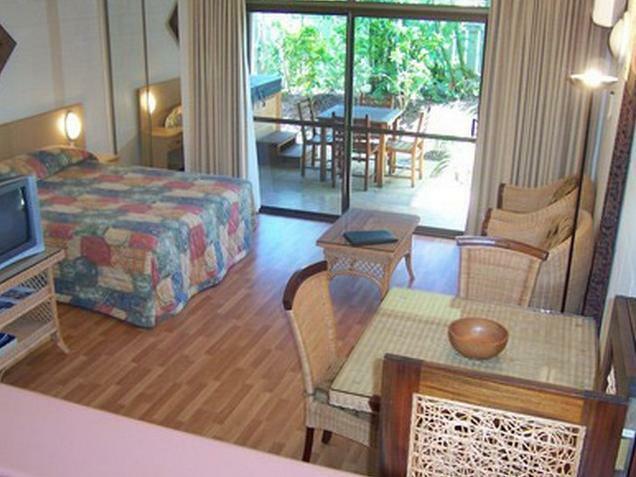 يحظى فندق Cascade Gardens Holiday Apartments بموقع ممتاز وخدمات يصعب منافستها. We were given such a warm welcome on our arrival and that set the tone for our whole holiday. All the staff are friendly, knowledgeable and are willing to assist in anyway they can. They will also book all your tours for you at a discounted price ! 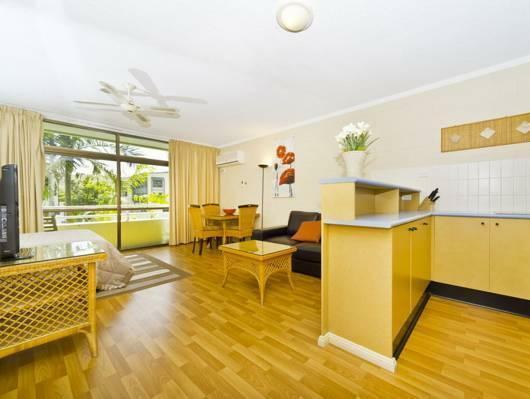 Our one bedroom apartment was very spacious and clean, providing everything we needed for a relaxing stay. I loved that it had a washing machine as we could wash our beach towels and swimmers between uses. The outdoor area is the perfect place for relaxing and has a great BBQ area if you prefer to eat in. It is an easy walk to the shops and restaurants but it is a walk.....probably around 10 minutes. We really enjoyed our stay and would definately stay here again. Instructions to access key as late flight clear and worked. Staff very helpful in making suggestions 're trips and arranging them. Good information about shopping and other amenities. Ideal for my requirements. 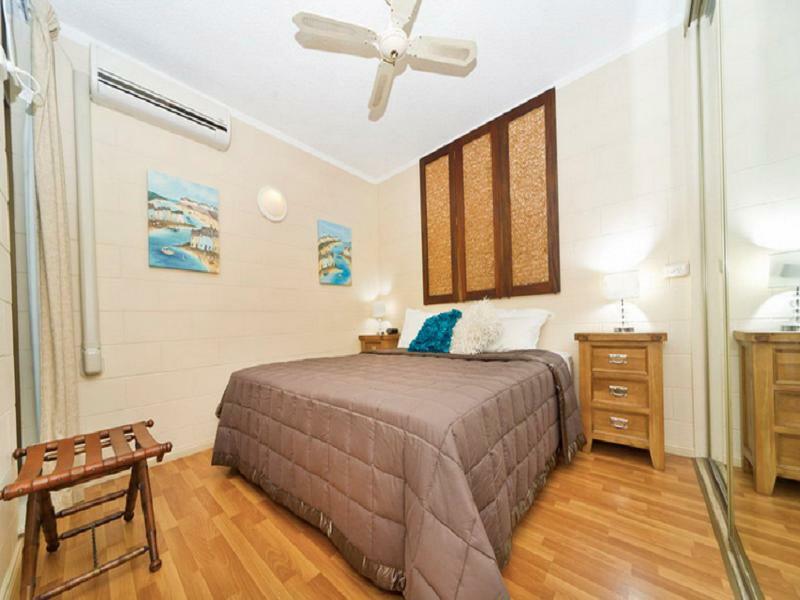 Kitchen is furnished with facilities needed for cooking and the studio apartment is spacious. Location is good and near to the esplanade and town. Lovely place, nice apartment and staff. Super friendly and helpful stay! Large room,off street parking,Walking distance to downtown..
We had a great stay.friendly helpful staff as well.the room was clean and tidy.The great feature to me was a kitchen.being on a budget it was a real money saver.Also being self contained it was super private,with no one bothering us unless we requested it.Excellent value. The staff is so nice. Near the hotel has a good Vietnam restaurant. But really just has one restaurant near the hotel. If you want other, it need walk around 10 ~15 mines. No convenience shop near the hotel. We stayed for 5 nights over NYE. The hotel was reasonably priced and approx 8mins walk from the esplanade. Nicely decorated with a well-equipped kitchenette. Advertised as 'free wifi included' but in reality this is a voucher for a v slow service that can only be used on 1 device. More vouchers or 'premium' internet costs more. The staff were v friendly which we were surprised by since the room is full of unfriendly signs and notices - if you call reception out of hours (9-5) you will incur a fine, if you want an extra towel it costs $2.50, any noise incurs a fine, not emptying the bin incurs a fine etc etc. 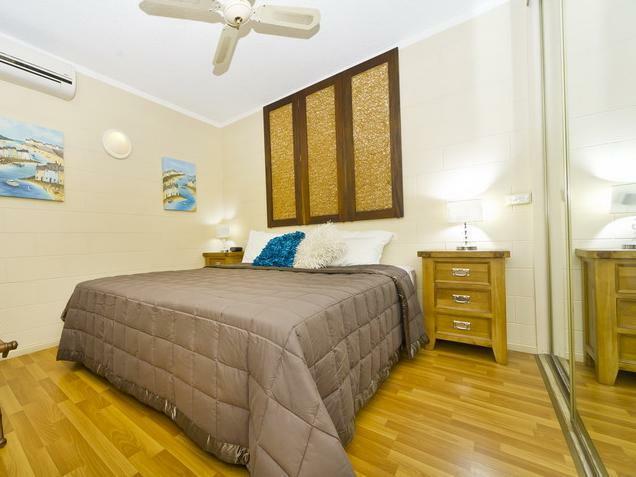 Cascade Gardens Holiday Apartments is comfortable to stay in, the rooms are big and clean. It has kitchen in the room which we can cook for dinner to save money. It is close to the shopping mall and near the beach, very convenient to buy stuff. The price is fair for a family to stay in, highly recommend. I stayed here for a few days after my girlfriend had to go back to Japan, before I moved on to Melbourne. As a lone traveler, I was looking for a place where I could settle up and get some rest before moving onto another place in my (working) holiday. The room (mini apartment) was great. Very clean, and fresh. Had a nice airy feel about it and I had no complaints about the large bedroom, living area, dining and kitchen area or bathroom. If I had to nitpick, the bathroom seems a bit of a letdown compared to the rest - but that's mainly as it doesn't have a window so seems dark. Still, clean nonetheless. The staff were really nice and chatty, and helped me out with any questions I had. The only issue I had was that there were renovation works going on which I wasn't told about before booking , so my peace and quiet time was interrupted a little. However, on the whole, I recommend this place 100%. Apartment was spacious and kitchen well equiped. About 10 to 15 minutes walk from the city centre and the ferry terminal. Lady at reception very friednly. Free WiFi but it was impossible to connect. It is a family style and kind of help-yourself hotel. No elevator. The room is clean and ok. They require you to empty the rubbish bin and wash the dish before checkout, or penalty will apply. It's a little bit old and kind of Bali style. I think it would be good for trip with children and whole family. Due to being a 3-star accommodation my expectations were not particularly high, but my room were every bit like on the photos. Spacious, clean, a working A/C, and big windows lighting up the room with natural light. The shower facilities could do with a overhaul though, but for a 3-star this was well above par. This aparthotel was fully equipped with kitchen and had access to laundry facilities although at a cost. The apartment was basic but clean with all facilities available. If you have children the pool area was a little small, but the beach was only a few minutes walk away. The staff were friendly and helpful and informed us they are due for refurbishment in the new future. There are no facilities for dining as it is self catering. We were greeted by friendly staff when we checked in. The staff gave us alot of information about the hotel and Cairns. The apartment was pretty neat, and quite spacious. However, the air con seems to be malfunctioning as it gets very noisy and therefore disrupting our sleep. It is not very near town, probably a 15-20mins walk. However i would still recommend people to stay there as it is value for money.